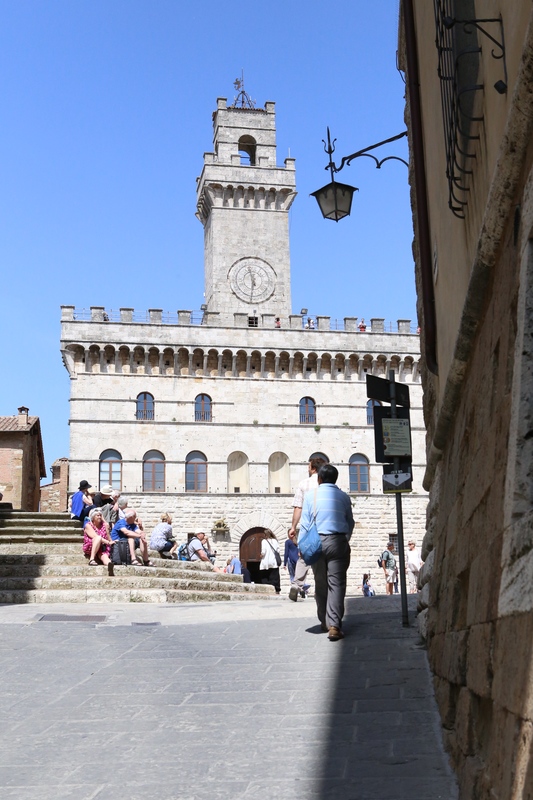 Montepulciano is another mountain town known for its wine and grape named the same. 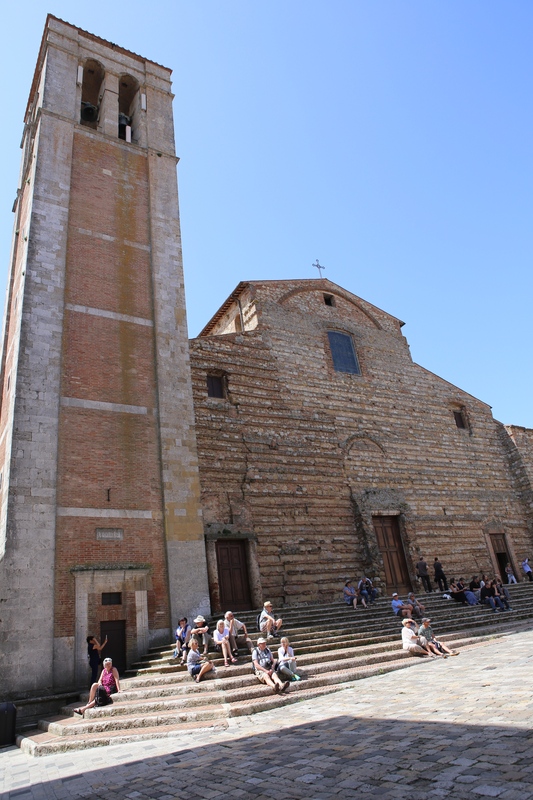 It is a medieval and Renaissance hill town in the province of Siena, region of Tuscany. It has a population of only 14,000 people. 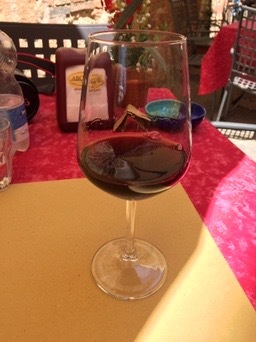 The montepulciano grape is well-known worldwide. It produces one of Italy’s best wines. 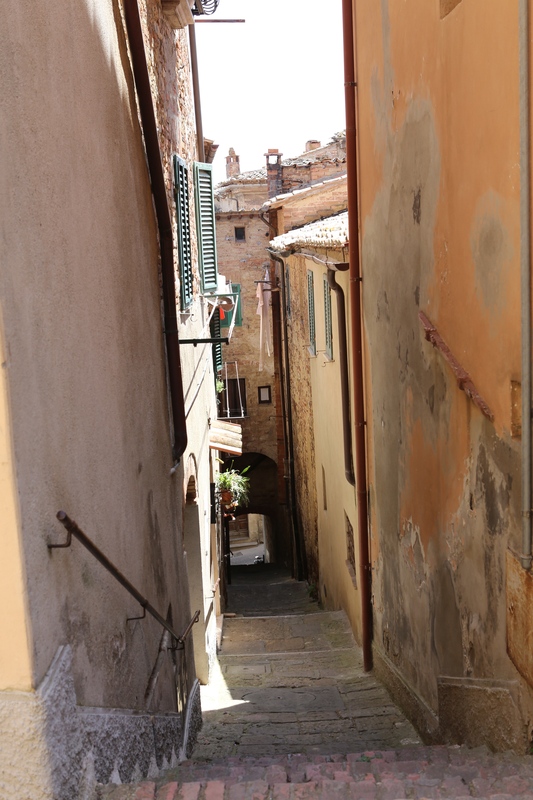 This is a town of small streets and stairs like all of Italy’s hill towns. 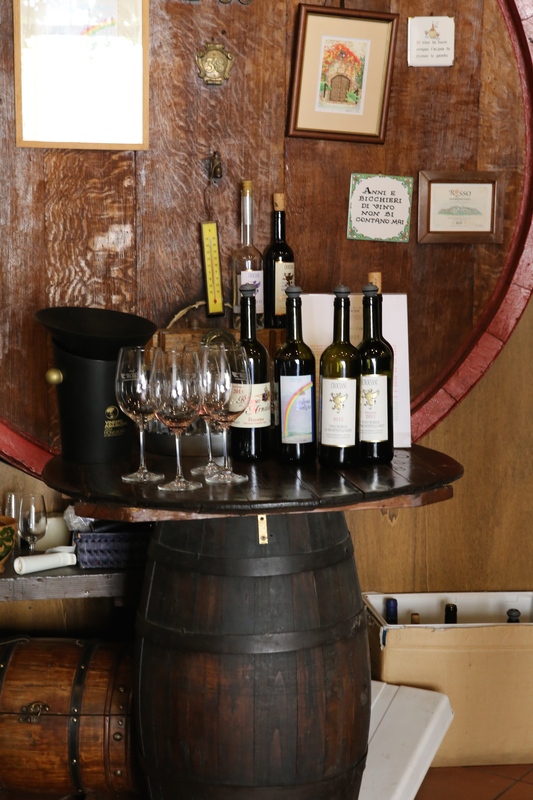 You can find many enoteca to taste its great wines.The word enoteca means wine repository.It is a type of wine store that originated in Italy. You can buy wines but also taste them. 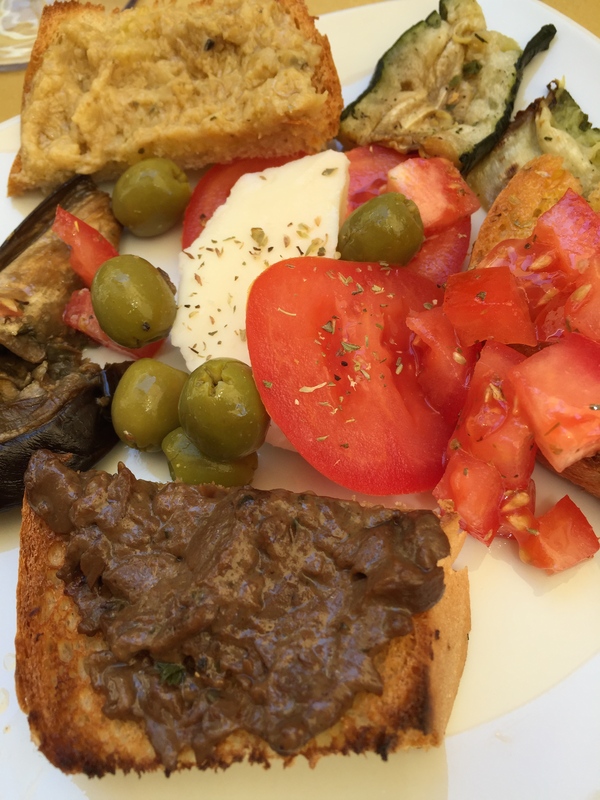 Some even have small plates of food. 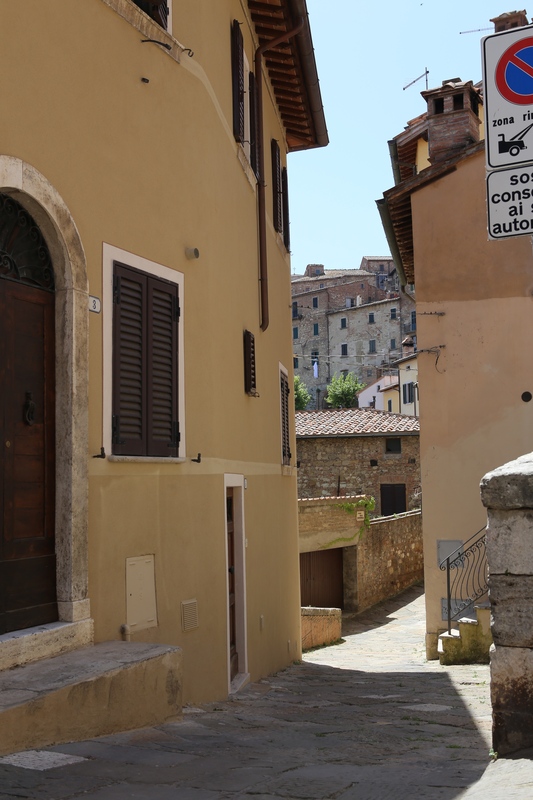 Like all the small hill towns we have visited, Montepulciano is wonderful and very romantic. There are several parking lots outside the town that are numbered. Get lost and ask the way to your parking area number. 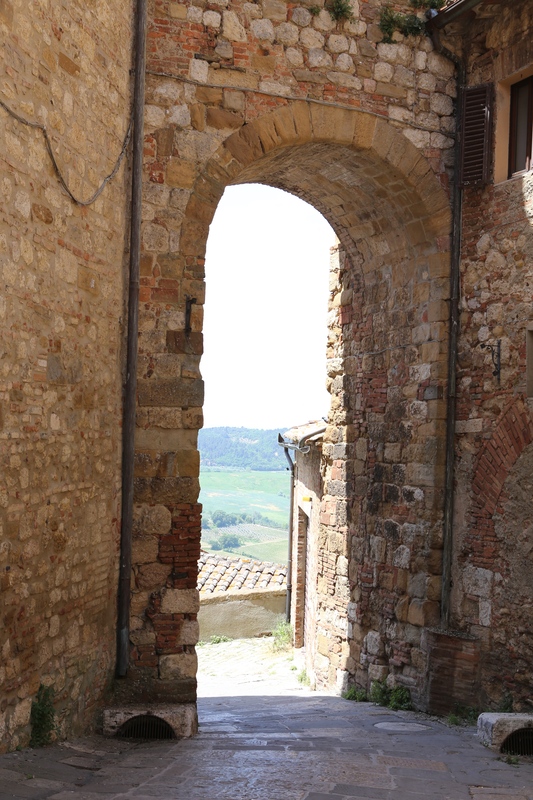 Montepulciano is very near to Siena, our next stop. 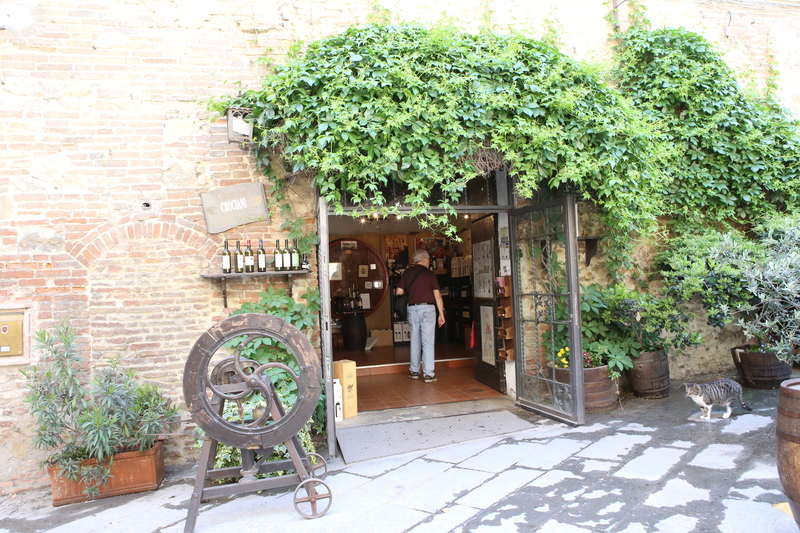 Montepulciano is known for its wine. You can find many different bottles with the Montepulciano name. It is a full bodied dry red wine. In this city there are many enotecas to taste the wine. Again this is a small mountain town high on a hill. You park in lots on the edge of town and walk in. 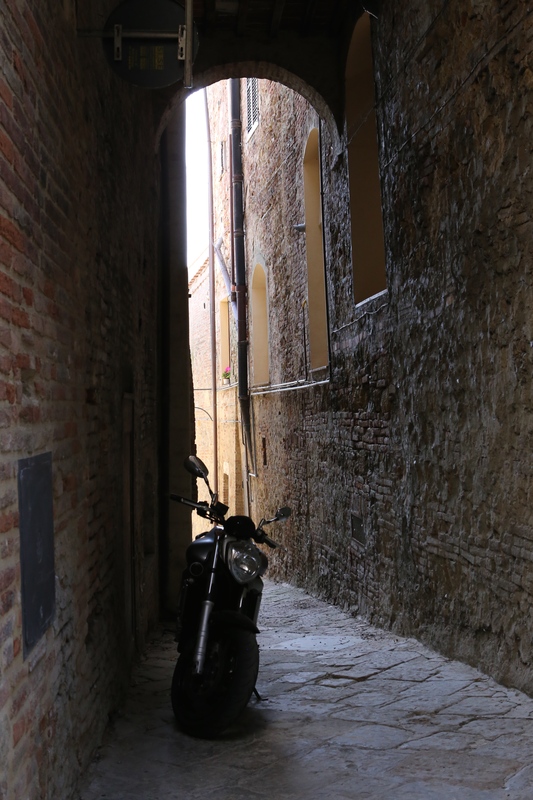 The streets are, you guessed it, narrow and many turn into stairs. This is the nature of a hill town. 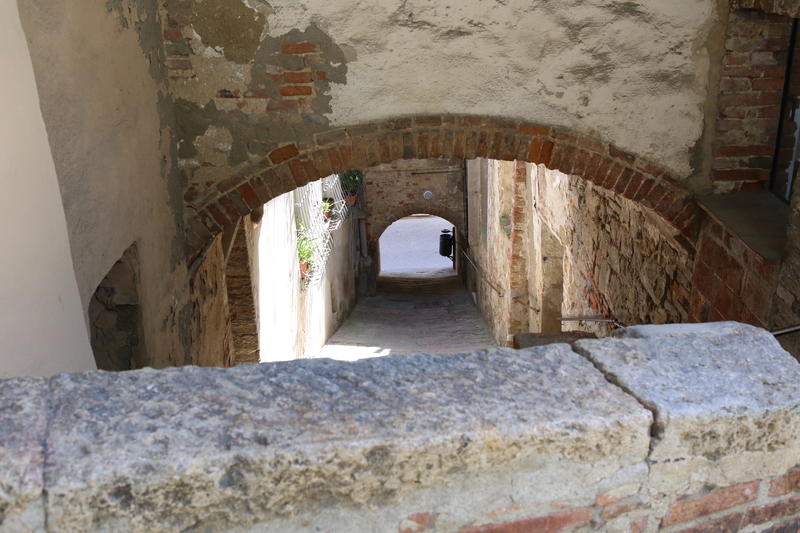 The streets and the piazza are medieval. They are best enjoyed by walking around them and stopping at a bar or ristorante to watch the people. 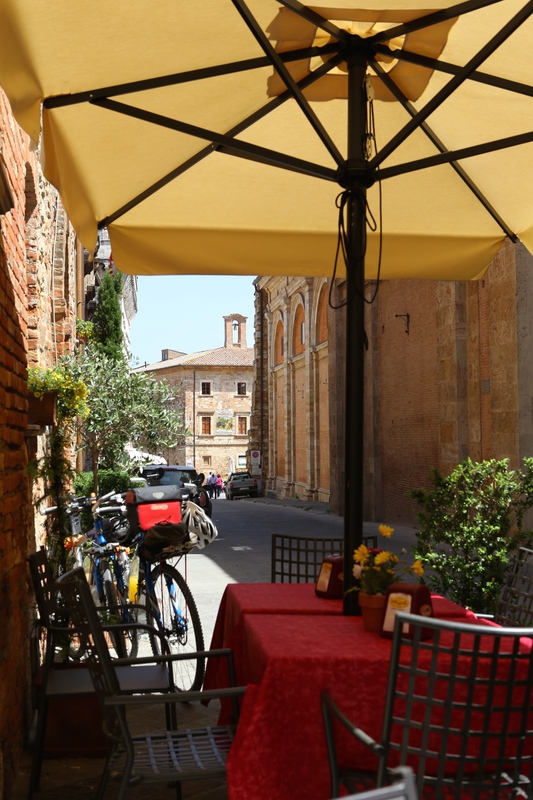 Montepulciano is near Siena, our next stop for two nights.